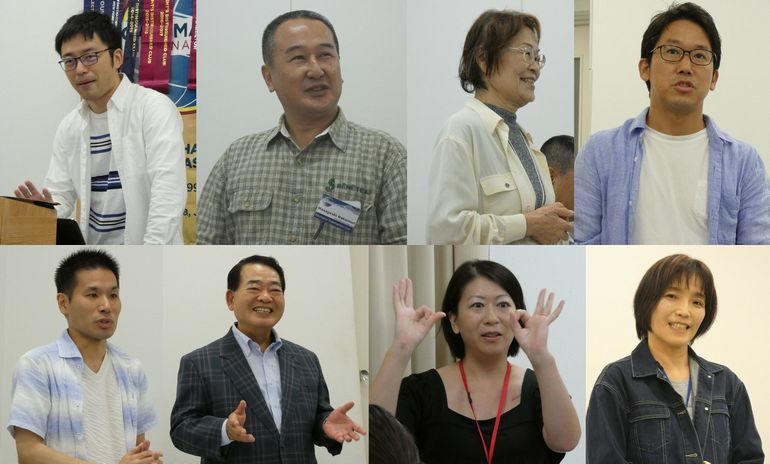 The 674th regular meeting was held at Hatoba-kaikan where is one of the best location of Yokohama city on September 1st(Saturday). It is getting cooler and we felt the sign of Autumn. 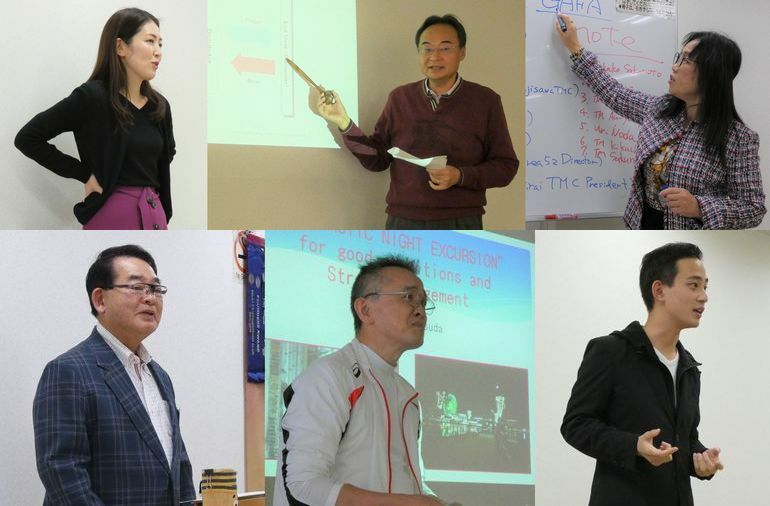 This time, we conducted “Speech Marathon” event that 6 speakers gave the prepared speech. Today`s word of the day is “Memorable” introduced by TM.S. Today, we had members who has a Journey to the next step, so it is truly Memorable day for us. This time, we had 6 speakers gave wonderful speeches..
“A little about me” by TM.N. There were wide range of topics from serious speech about social issue to humorous speech about family. 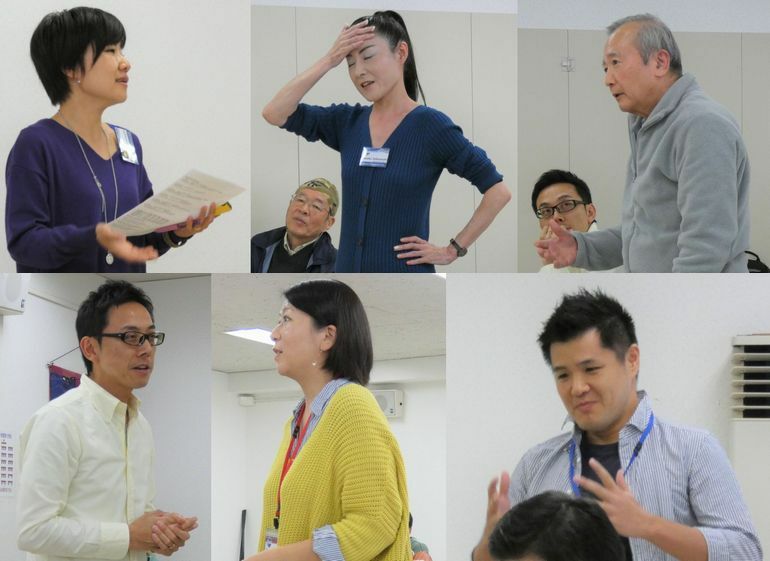 Among those, TM.A who will have a maternity leave showed her wish to attend Toastmasters over three generation! She was elected to Best Prepared speaker. Please come back to this club with your beautiful baby! TM.K took the role of General Evaluator. Member like me and him who joined the club this year starts taking important role of the meeting. TM.K pointed out the importance of time management. 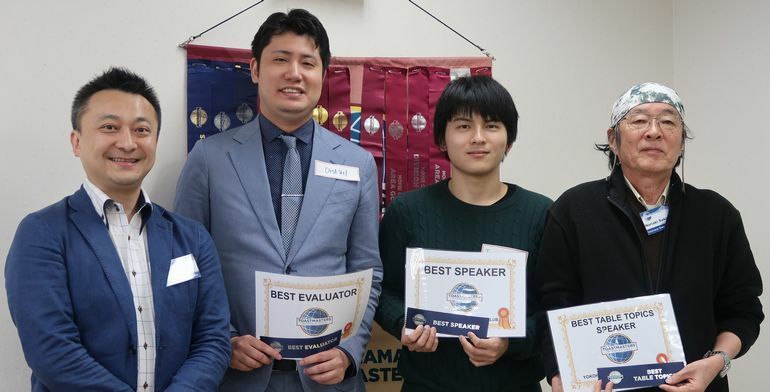 TM.I got Best Evaluator and he commented that he played the freight simulation game as introduction to his evaluation of TM.M speech about aviation. 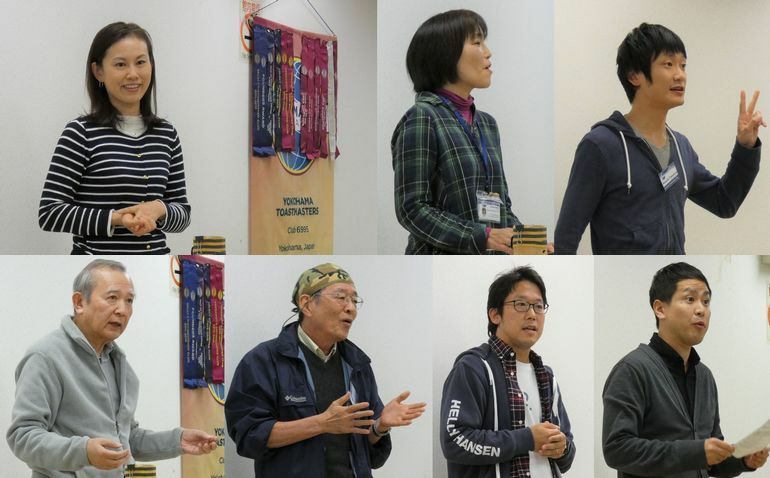 We had 2 members who are returning to their country and it was their last attendance of Yokohama Toastmasters club. TM.T will return to Vietnam and TM.S will return to Taiwan. It was so sad since we all enjoyed their speech about overseas! President F pass the present which are message board from everybody in this club. 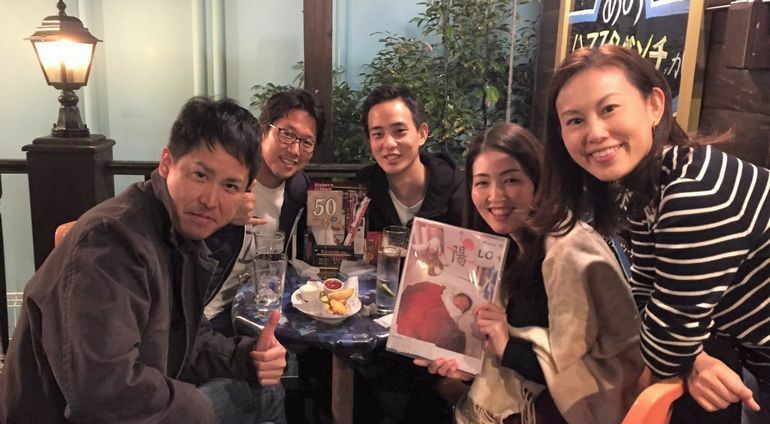 Please stop by to YTC when you visit to Japan! This is my first try as TMOD. 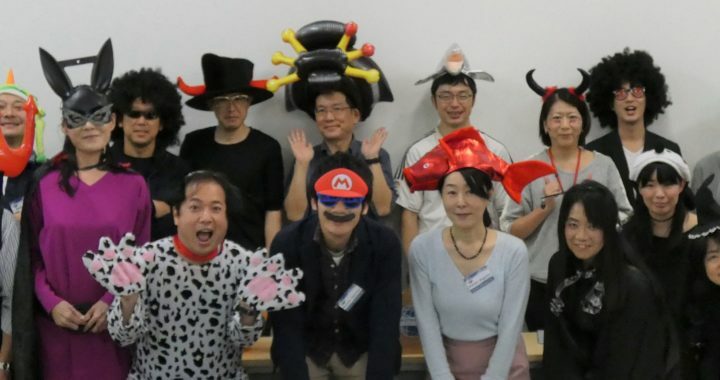 It is the task of TMOD who put energy into to the meeting and brings participant higher engagement. 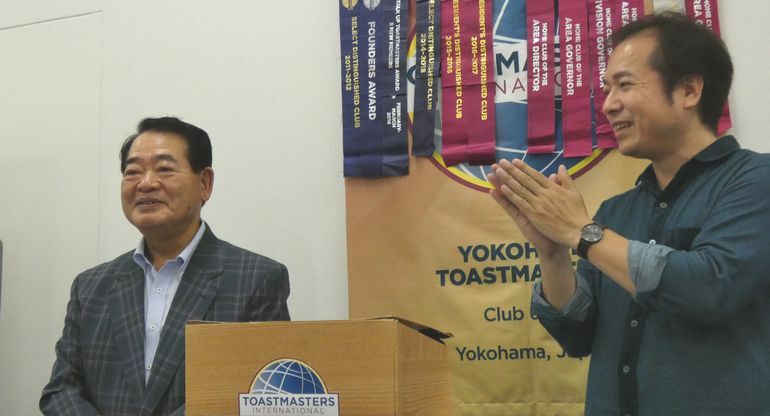 It requires all kind of skills which we can learn in Toastmasters such as impromptu speech, sense of humor, gesture and intonation. I felt I need to lean more. 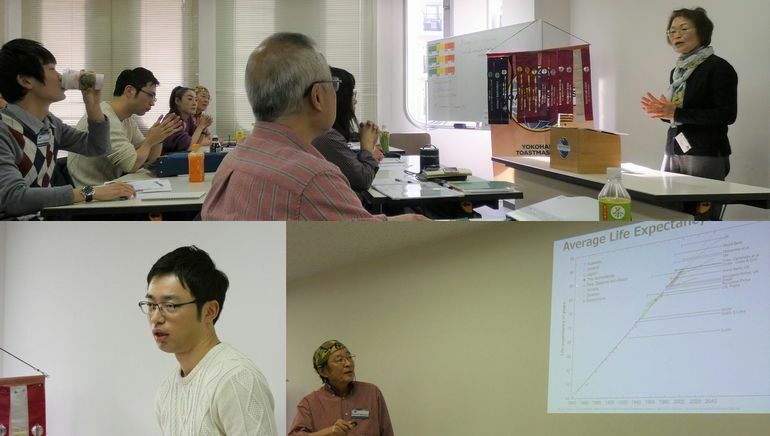 By attending more meeting of Toastmasters, I felt I can do much better next time!